Callebaut was a Belgian company founded in 1850 by Eugenius Callebaut in Wieze, originally as a brewery. In 1911 it began producing chocolate bars and later discontinued the brewery and concentrated purely on chocolate production. Cacao Barry was founded in France in 1842 by Charles Barry who travelled to Africa to source high quality cocoa beans to produce the first connoisseur’s chocolate. Barry Callebaut was created in 1996 when Callebaut and Cacao Barry merged. Based in Zurich, Switzerland, it is now the world’s largest chocolate manufacturer and operates in 30 countries. Barry Callebaut offers an all-encompassing choice of high grade cocoa powers, standard to special cocoa liquor and cocoa butter. With a worldwide presence of 16 chocolate factories and an extensive network of specialists who provide close support and rapid response, I have found Callebaut to be an excellent source of high quality chocolate here in Cyprus. Valrhona is a luxury chocolate manufacturer based in the small town of Tain-l’Hermitage in a wine growing region near Lyon, France. 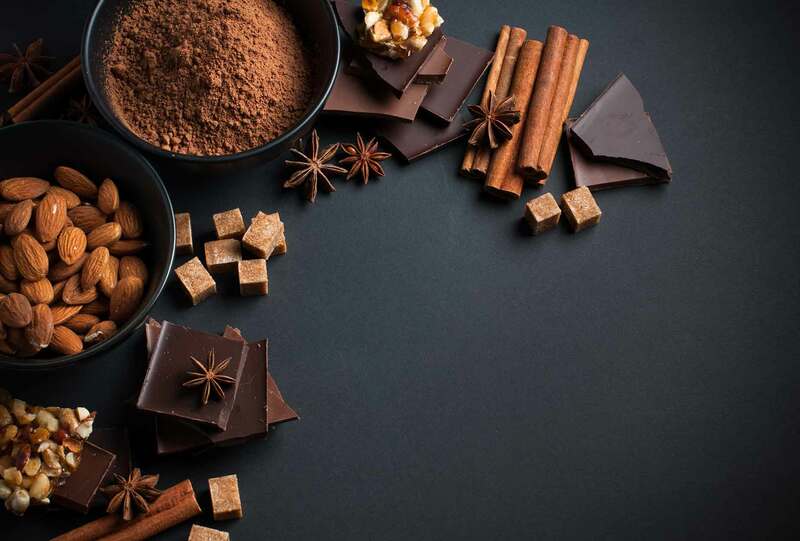 Founded in 1922 by a French pastry chef, Valrhona now has 60 local distributors around the world. Valrhona focuses mainly on high-grade luxury chocolate marketed for commercial use by chefs and chocolatiers. Valrhona also produces vintage chocolate made from beans of a single year’s harvest from a specific plantation. Cocoa beans are purchased directly from premier plantations in South America, the Caribbean and Pacific regions. The marketing term ‘Grand Cru’ began to be used from the 1980’s onwards by French chocolatiers to signify that the beans used in the chocolate all come from a certain country or region. I believe in using only the finest ingredients to produce high quality chocolates that stand above the rest. Having checked out a number of sources, I have found these two suppliers consistently provide high quality chocolate. I use Valrhona for all my truffles and a combination of Valrhona and Callebaut for other chocolates and flavours.